At Caledonia Log Homes Ltd we strive to build the finest log cabins and log homes with exceptional Scottish timber. An architecturaly inspired design and build company, we take imense pride in what we build. We work tirelessly perfecting our log work and finished builds. We pride ourselves on using fantastic Scottish logs for our post and beam and full scribe log homes and log cabins. We cut and process our own timber to use throughout the builds, both internally and externally, keeping as much of the build process in house as possible. It is your dream to live in a handcrafted log building and it is our dream to build it. 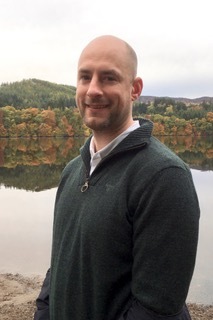 Christopher Houston is the founder and Head Log Builder of Caledonia Log Homes Ltd. Chris graduated from Sheffield University in 2004 with a BA in American Studies, after which he followed his lifelong interest of working with wood. He initially fell in love with log home building while playing rugby in Canada and decided to pursue it as a career. Chris attended the well respected ‘Okanagan School of Log Building’ in Kelowna, British Columbia, Canada run by Del Radomske the renowned North American log builder and pioneer of modern day log building through the ‘overscribe’ technique. After completing the course he worked for White Valley Log Homes at the foot of the Selkirk Mountain range, interior B.C. gaining fantastic knowledge in specialist aspects of log builidng including roof systems, trusses, stair building, milling and post and beam construction. Chris felt that the best way for him to truly understand the industry and craft was to travel and work for different companies and with different builders, which he has actively done by working on various projects in France, Austria and New Zealand. Chris has gathered a wealth of expertise and building knowledge and has greatly enjoyed learning from some of the top builders in the industry. In late 2010, Chris felt sufficently skilled and knowledgeable to set up his own business and returned to Scotland to do so. In 2011 Caledonia Log Homes was born. Chris loves finding and using beautiful home grown Scottish timber and his own trained staff to build amazing buildings that will stand not only the test of time but are equal in every way to what top Canadian companies can do. A laid back attitude masks a fierce determination and drive to make Caledonia Log Homes the finest builders of log structures in the UK. Kevin has been with Caledonia Log Homes from the start, initially working freelance but now a permanent member of staff. He has a full understanding of Caledonia Log Homes building and design practice and and is also hands on with project managment helping us keep projects in house ensuring as smooth a process as possible for all our clients. Kevin has a range of design experience spanning the residential, commercial and hospitality sectors bringing a wealth of knowledge to our team. A large proportion of his former work has involved sensitive sites, conservation areas and listed buildings. He graduated from the Scott Sutherland School of architecture in Aberdeen in 2007. He is passionate about sustainable architecture, particularly developing technologies and construction methods that strive to improve our built environment. During his professional career he has been fortunate to work in London, Edinburgh and Australia. Hannah graduated in 2013 with a degree in Interior Architecture & Design, including a year working as an Architectural Intern in New York, but after interning in an office environment she realised that working on-site was where she really wanted to be. The next two years were spent gaining experience on various construction projects in both the UK and France. In 2015 Hannah moved to Scotland and began a construction skills course in Glasgow. 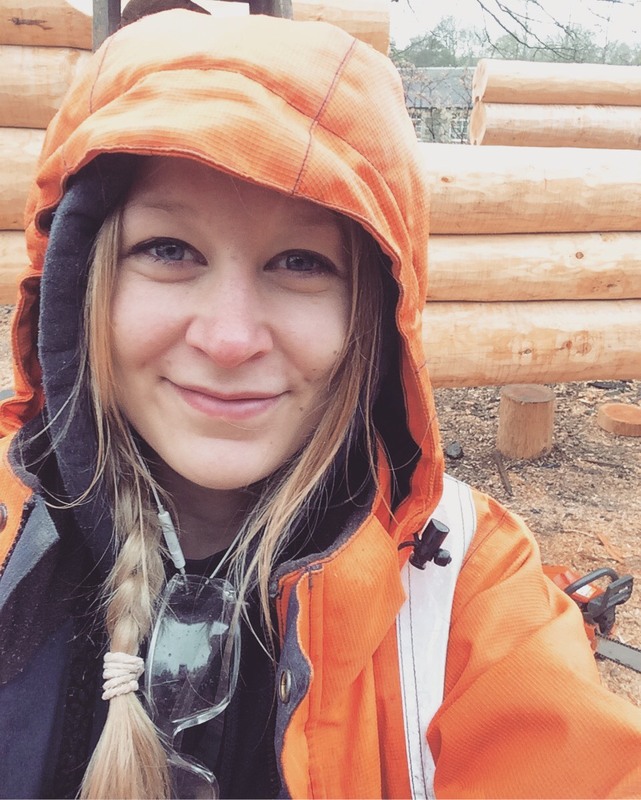 Whilst searching for a construction apprenticeship she found Caledonia Log Homes and has been with us ever since. As well as learning the skills involved in being a logbuilder Hannah is also studying part-time towards a Masters in Sustainable Building. ‘Chainsaw Craig’ joined our team in January 2015 and came from a tree surgery background. Craig took to log building like a duck to water and has never looked back since. Usually seen in a cloud of dust and sleeveless shirt no matter the weather, Craig is our lead builder and sets the standard for the rest of the team to follow. Graeme, a man with a head for heights and a love of swing dancing, studied Geography and Social Anthropology MA Hons (2007) at St. Andrews University. He is a traditional builder and has worked on a variety of projects over the years including roundwood timber frames, stonesand earthen buildings in Ireland, adobe brick and timber frame houses in Argentina, cob houses in Kenya, straw bale and earthen plaster houses in Holland, and hydro-electric power schemes in Scotland. Graeme trained with Caledonia Log Homes in 2012 and when not flying round the world is happiest covered in sawdust in our yard. Another lifer, Stu has been with us from the start and has seen us grow from our small yard, a Peaugeot 306 estate and a couple of log benches to our current large scale projects. Stu has an incredible eye for detail, a canny cutting hand and exceptionally high joinery standards. Slightly mad, he is also a brilliant tonic especially during freezing wet roof fit outs in the wilds of Scotland. Tom grew up on a farm next to Fountainhall in the Borders and served his Joinery apprenticeship at the Scottish Borders Housing Association (SBHA). Tom joined our team at the start of 2018 and is loving doing ‘proper joinery and carpentery.’ A great addition to the team Tom fits in well with our ‘no problem can do attitute whatever the weather’. Other claims to fame, Tom is a south paw and plays in goals for the mighty Stow FC. Stu has perhaps the hardest job at CLH, stripping huge Douglas fir logs by hand. As mentally tough as it is physical the standard of any build is set by the peeler and Stu prides himself on the sharpness of his blade and cleanness of his swipes. Louise organises the back office side of the business supporting the team with payroll, book keeping, invoicing and marketing.